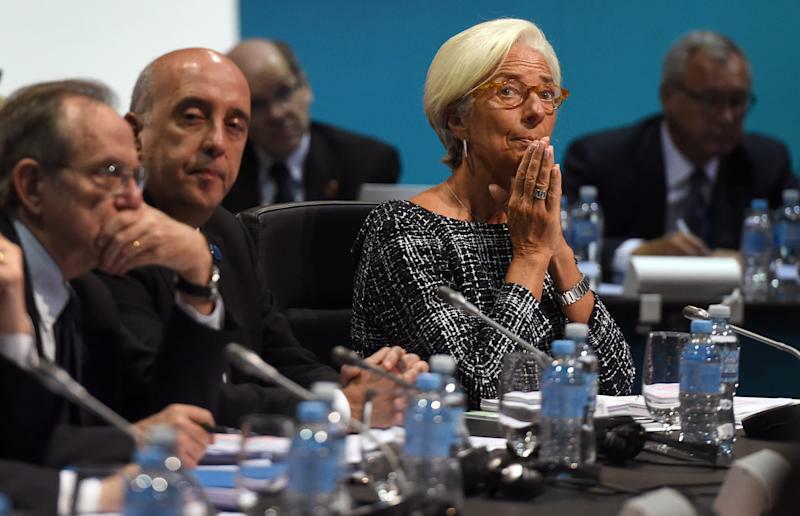 Cairns (Australia) (AFP) - Finance chiefs from G20 nations held talks Saturday, confident they can "change the destiny of the global economy" despite rising world political tensions and mounting fears of financial instability. The meeting in Cairns aims to thrash out a set of policies to achieve the ambitious goal of raising the total GDP of the 20 major world economies by two percent over the next five years, a target they set in Sydney in February. Finance ministers and central bank governors, including US Federal Reserve chairwoman Janet Yellen, want to be able to take their plan to the G20 leaders' summit in Brisbane in November. 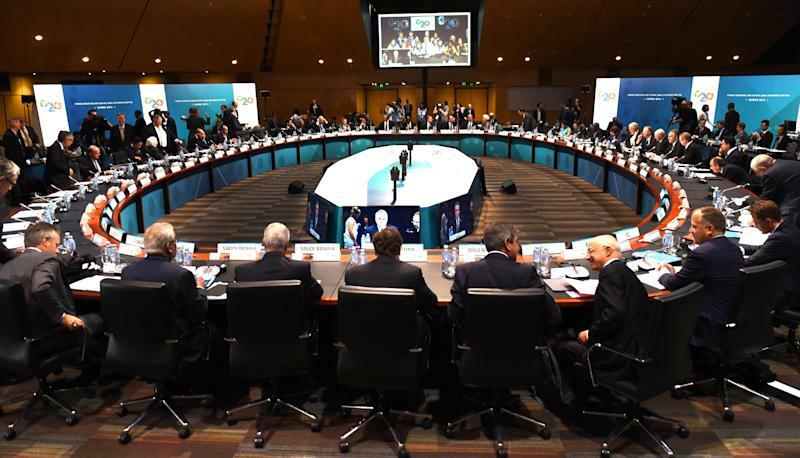 A high-level G20 source said of Saturday's discussions: "There was no longer talk about growth versus austerity. Now it is all about how we can grow our economies. "What we found is that extremely good progress has been made towards the two percent objective," he added. "Everyone supports that agenda." The source acknowledged that the "global picture" of economic growth was "very uneven", but added that all members of the Group of 20 "will continue to sustain their efforts" to reach the target. Australian Treasurer Joe Hockey, who is chairing the meeting, said as he opened the summit that he was buoyed by the more than 900 submissions that had been made by participating countries to meet the goal. These involve reforms to accelerate infrastructure investment, steps to strengthen financial reform and the opening of economies to free trade. "We are determined to make the world a better place -- to grow the global economy, to create more and better paying jobs, to build the infrastructure to ensure children get better quality water, education and healthcare," he said. "I have no doubt that as a result of the deliberations of this meeting this weekend, followed by the leaders' summit in Brisbane in November, that we have the opportunity to change the destiny of the global economy." Despite the upbeat comments, with the OECD downgrading its world growth forecasts this week amid a stalling eurozone recovery and weakening emerging economies, the task has become more complicated. There is also mounting concern about the impact on emerging economies of the US Federal Reserve's shift towards tightening its monetary policy next year, while political tensions in Ukraine and the Middle East have spooked some investors. Hockey added that there is a consensus that Russia should attend the leaders' summit in November, despite alarm over Moscow's actions in Ukraine. "We've consulted with a number of countries and the emphatic view came back that of course we expect Russia to attend the G20," he said. "They are a member of the G20 and we expect that they would attend the G20 meetings." Capital Economics senior global economist Andrew Kenningham said he was not expecting any fireworks from Cairns. "Few analysts will be waking up early this weekend to read the communique," he said. "It is likely to cover a lot of familiar ground. No doubt it will be full of good intentions -– but the key question is how much will be implemented." But he added that "the G20 focus on promoting growth makes a lot of sense". OECD secretary-general Angel Gurria said difficult reforms to drive economic activity were more essential now than ever with global growth struggling. "Why would you reduce the ambition when precisely what you need is the growth," he told The Australian newspaper. "Why do you think some countries are doing better now? It's because they did the structural changes. They went in earlier and now it is starting to produce a benefit." While economic growth is a key focus of the summit, G20 nations are also expected to show progress on a common reporting standard to stop multinational companies from shifting profits to avoid tax. The OECD put forward proposals this week and handed them to the G20 on Saturday, with Gurria calling them the biggest changes to international tax rules in more than a century. The plan seeks to close international loopholes used by multinational firms, including digital giants such as Apple and Google, to avoid paying large amounts of tax, which is costing countries billions of dollars.